London: Kolothum Thodi Irfan and Khushbir Kaur finished at 23rd and 42nd positions respectively in the men's and women's 20 kilometres race walk events on the final day of competitions as India ended their miserable World Championships campaign on a disappointing note. National record holder Khushbir was the first to take the field and she clocked 1:36:41, more than two minutes outside her season best of 1:34:01, to finish 42nd out of 52 competitors who completed the race. The 24-year-old Punjab athlete, who has a personal best of 1:31:40, had produced her season's best at the IAAF Race Walk Challenge at Taicang in China in April. The Indian began with a fast pace but gradually slowed down later. She was at 15th spot at the 5 kilometres mark with a time of 22:25 but by the halfway mark, she had fallen behind to 41st place with a split time of 46:19 seconds. At the 15 kilometre mark, she was at 39th with a time of 1:10:55. Yang Jiayu of China won the race in 1:26:18. Maria Gonzalez of Mexico and Antonella Palmisano of Italy took the silver and bronze with efforts of 1:26:19 and 1:26:36 respectively. This was Khushbir's third World Championships participation. In the earlier edition in 2015 in Beijing, she had finished 37th with a timing of 1:38:53 while she occupied the 38th spot in 2013 at Moscow with a time of 1:34:28. In the 2016 Rio Olympics, Khushbir had finished 54th with a timing of 1:40:33. "I was in the top 15 till the 8 kilometre mark but after that I started feeling pain on my right leg and I even thought of stopping the race. But I somehow completed the race. So I had to slow down in the second part of the race. The conditions, the temperature was all right though the race started after 12 pm. I wanted to do better but I could not do it," Khushbir told PTI after the race. 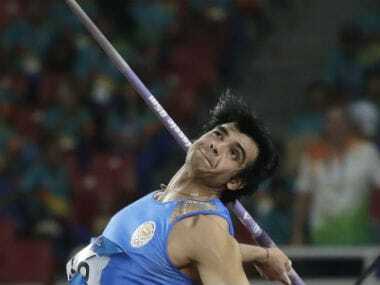 "My main problem is that the injury on my right leg that I sustained after the 2014 Asian Games has not healed completely. It has flared up on and off during competitions. It aggravated during the National Race Walk Championships in Jaipur," she added. Irfan, on the other hand, clocked 1:21:40, less than one minute outside his season's best of 1:20:59 to finish at 23rd out of 58 competitors who completed the race. The 27-year-old Irfan, who jointly holds the national record of 1:20:21 along with Devender Singh, had a good race till the halfway mark but then he slowed down in the second half. He was at 16th spot at the 5 kilomere mark and moved up to 13th at the halfway mark with a very good timing of 39:51. He was at 14th till the 15 kilometre mark but he could not maintain his speed in the last five kilometers and his opponents overtook him one after the other. "I was really doing well till the 10 kilometre mark and my timing was below 40 minutes at that time. I was thinking I would be able to do below 1 hour 20 minute but the second half was not good and in the last five kilometers I slowed down," he said after the race. "The temperature is high and I could not conserve energy. We have never trained for a 2 pm start (the race began at 2:20 pm local time), it is strange. I don't know why they started the race when the temperature was rising. "Before the start, I said to myself that this is the World Championships and the best are taking part here and it is good time that I run below 1 hour 20 minutes and break the national record. But it did not happen, so I am disappointed," Irfan said. The two other Indians in the fray, Devender Singh (1:25:47) and K Ganapathy (1:28:32) finished 50th and 54th respectively. India thus ended their World Championships campaign on a dismal note. 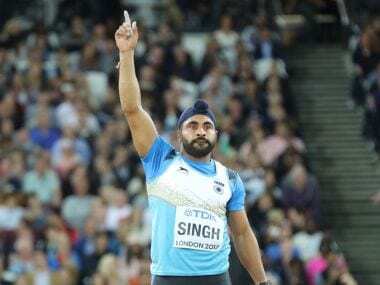 Davinder Kang was the best performer as he upstaged world junior record holder Neeraj to become the first Indian to qualify for the men's javelin throw final in any World Championships. Kang though finished 12th out of 13 competitors in the final round. Govindan Lakshmanan was the other athlete who has done well in the championships by clocking his personal best of 3:35.69 in men's 5,000 metres race. All others Indians flopped at the Championships. In track events, Dutee Chand (women's 100 metres race), Muhammed Anas Yahiya (men's 400 metres) and Siddhant Thingalaya (men's 110 metres hurdles) crashed out in the first round heats while Nirmala Sheoran reached upto the semi-finals in women's 400 metres race. In field events, Annu Rani failed to make it to the final round in women's javelin as she finished 20th overall with a best throw of 59.93 metres. Heptathlete Swapna Barman finished a lowly 26th while T Gopi and Monika Athare ended at 28th and 64th in men's and women's marathon respectively. The women's 4x400m relay team was disqualified for lane infringement in the first round heats while their male counterparts finished 10th overall to be eliminated.